Complete NIV Audio Bible Audiobook Download - Christian audiobooks. Try us free. I absolutely love the velvety smooth voice of David Suchet. I actually wanted to give this 4 1/2 stars. The production lost 1/2 a star not because of David - but rather, the lack of breaking the chapters into Books e.g. the "ESV Hear The Word" read by David Cochran-Heath (?sp). It did take me about an hour to create the directories and and move the correct files into them. Easy to listen to. I love the English accent. This is a beautiful, clear reading of the Bible. It is read expressively, but the reader does not impose his personality onto the reading. I am so grateful to David Suchet for this beautifully sensitive reading. 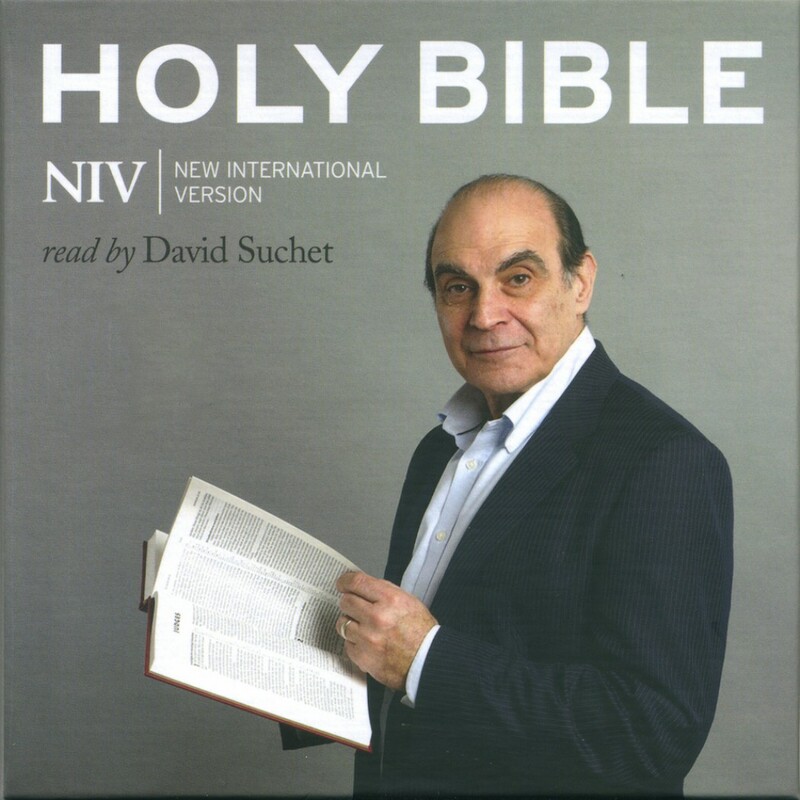 David Suchet's reading of The Holy Bible is sensitively beautiful. His reading is truly a labor of love that touches my heart each time I listen. I am so grateful to him for this wonderful work. I totally love this narration and this NIV version. This is a perfect narration, the personality of the Narrator does not impose itself on his reading. His accent is perfect, his intonation is live and real; it is poised and perfectly paced. I very much love David Suchet's narration. Furthermore, it is downloaded into 4 zipped folders (2 OT and 2 NT) each zipped folder contain chapters of Bible books which will play continuously. These chapters could easily be sorted out into Folders of Bible Books to organize them and make them easier to search. Over the years I had purchased many audio Bibles from other popular narrators. But none of them were satisfactory to me. They were always either too fast; personalities were imposed into the narration or the accent was too strong to be properly understood. I highly recommend this Audio Bible with David Suchet as Narrator. It definitely makes the Word of God much more significant.